Lorna Jane Australia arrives in Penang Gurney Plaza! The first in Penang and third in Malaysia, Lorna Jane is finally available in Penang Gurney Plaza! Lorna Jane is founded by Lorna Jane Clarkson herself, who remains as Chief Creative Officer, the brand is Australia's leading lifestyle brand which has grown into a global multi million dollar empire with 156 stores internationally. 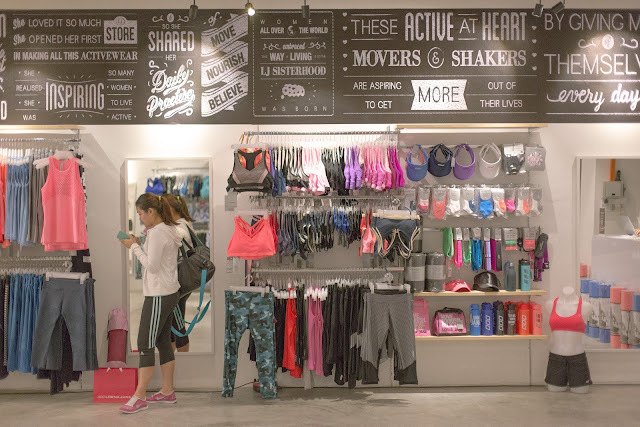 Lorna Jane Australia was brought into Malaysia by Believe Active - a new multi brand retail that brings in different fitness brand from western countries which soon will be taking in more awesome brands! Lorna Jane is proud to be their very first one! 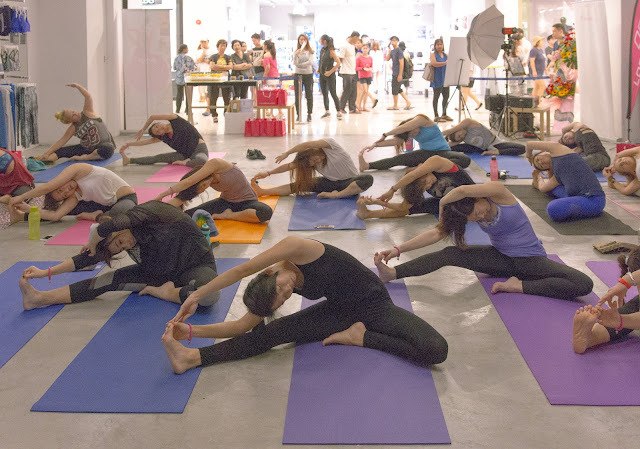 So I was cordially invited to join a yoga party which is held by Believe Active themselves few weeks ago at the Lorna Jane Pop Up Store in Gurney Plaza. The yoga session was lead by Miss Lenis from Happiy Yoga. Spot me? Bet you can't. Thanks to all the sponsors for making this happen. Those snacks from The Kettlebowl are tasty and the citrus drink from 3MonkeysJuice is da boom! The MUST HAVE section for all events - Photobooth! Thanks to Yin Photobooth for the service! Some motivational quotes I was holding. Goodies received from the event. My readers! Mention the code 'NICOLEYIE' to entitle an additional 10% off for full price sports bra OR 10% off full price tight at Lorna Jane by Believe Active Pop Up Shop, Gurney Plaza, Penang. *Redemption is made for in-store purchases only. Facebook: http://www.facebook.com/BelieveActive Twitter: @believeactive | Instagram: @believe_active *Images without watermark are taken by Believe Active themselves.